There are 2 main ways in which a Will can be contested. the value of that property, at the time of the parent’s death, is greater than the prescribed amount. 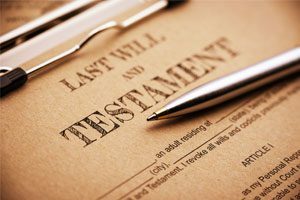 The second way in which a Will can be contested is to say that the person who made the Will did not have sufficient legal capacity (perhaps they had dementia) when they made their Will or someone had improper influence over the Will-maker’s mind. There are time limits which apply and this can be as short as six months from the Grant of Probate, so any person aggrieved by the provisions of a Will needs to act quickly. If you require further information on Contesting a Will contact us to discuss.